Van-System s.r.l. is a company founded in Lombardy - Italy, which has been operating since 1985 in the industrial market. 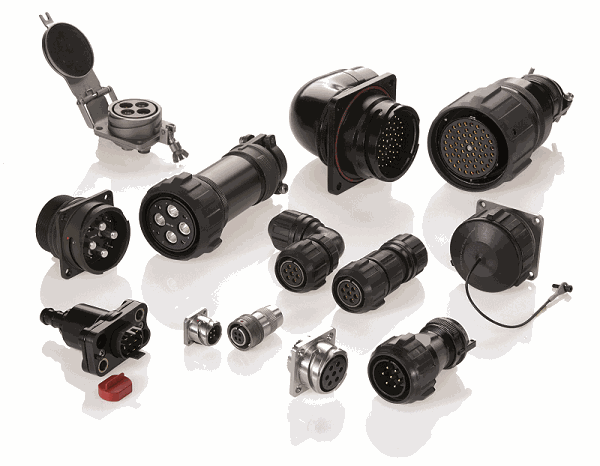 Besides connectors with screw or bayonet coupling complying with the Mil C 5015 standard, Van System designs and manufactures non-standard products for special applications. Van-System has a strong presence in the Italian and World markets, and a customer base in the railway, construction, automation and machine tool industries, in research and in plant engineering. One of Van-System’s strong points is an agile and dynamic organizational structure which enables direct and constant interaction with customers in order to meet all their requirements and build solid, long-term partnerships. The Van-System team’s professionalism, skill and commitment are at your service to help you achieve the solution you are looking for. Since 2015, Van-System has became a Radiall company; a global leader in design, development and manufacturing of innovative interconnect solutions. Headquarters in Paris, France, Radiall is a trusted supplier of leading edge products whose global presence includes nine plants and an international sales network. As a trusted supplier to leading brands, we provide worldwide coverage with local support. Electrical connections are one of the most important components in the design and manufacture of equipment used in a wide range of fields. A key factor in the success of many products which depend on electricity is the use of connectors which meet the specific requirements of the particular application. Van-System responds promptly to customers’ individual needs with highly reliable customized solutions. In this context, the great importance which our team attaches to the design process provides the added value which distinguishes our products. Right from the first contact, our technical sales staff logs the necessary technical details. During the development phase, we keep in close contact with the customer to monitor all aspects of the project. Our draft proposals are later worked out in detail, and this process is backed up with specifications, drawings, prototypes and pre-production models. In a highly competitive field like this, production systems must meet strict quality standards. Production flows must adapt with flexibility, organizing the available resources to fit the customer’s demands and required delivery times. Van-System responds to requests both with high levels of quality and with swift and punctual deliveries. This is the result of an efficient system for planning and scheduling production, which allows us to adapt production requirements to the individual specifications of each customer. Van-System Customer Service is a vital facility for achieving customer satisfaction. It ensures rapid delivery times in the quantities required, and is always ready to provide complete and effective pre- and after-sales support. High quality and reliability are indispensable features of the end product, especially in the case of high-performance connectors working in extreme conditions and subjected to heavy stress. One of Van-System’s strong points is careful quality control throughout all the production. This starts from the selection of our suppliers, who are graded on the basis of statistical checks and historic experience, and carries right through to testing of the design using prototypes and pre-production models, while maintaining complete traceability of all the components of the connectors we supply. Van-System quality control is never delegated to outside bodies but is always carried out internally to ensure the highest qualitative standards. Van-System's Quality System is qualified according to ISO 9001:2015 andIRIS Certification™ rules:2017 and based on ISO/TS 22163:2017. Our strive to ensure the highest quality cannot be complete without an internal test lab. Our facilities can count on a wide range of testing devices for an exhaustive series of analysis of the components used in the productive process. Non destructive testing, failure analysis, test specimen machining, dimensional inspection, resistance to torsion and corrosion are among the routine tests that our technicians are dedicated in order to deliver a safe and reliable product.